1) Whether the earth is warming, cooling or staying the same basically depends on the point in time you select to compare this year’s earth’s temperature to. For example, a few hundred years ago the earth went through a “Little Ice Age” (1280-1850 AD) so of course today’s temperatures would be warmer than then. 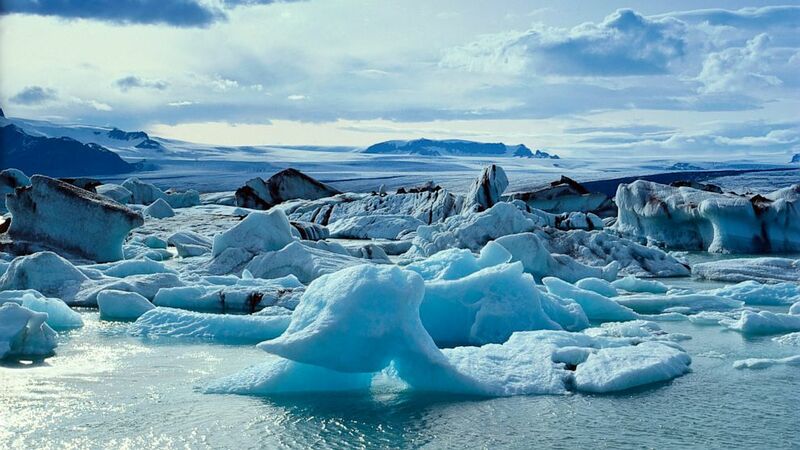 You may cite the melting Arctic glaciers as other evidence of global warming. OK, but you need to consider that glaciers wax and wane over time and when Arctic ice is waning, Anarctic ice is waxing. In other words, climate constantly changes (there was a “Medieval Warm Period” from 900-1300 AD and it was a few degrees warmer than today’s temperatures). Over thousands of years the Earth has cooled and gotten warmer and cooled and gotten warmer, etc. 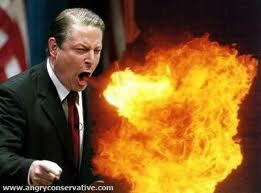 In fact, the Earth has had 5 major Ice Ages over the past 2 billion years, 5 periods of serious global cooling. 2) In the last few hundred years some data suggests that the earth appears to have warmed and carbon dioxide (CO2) emissions increased, so a case can be made for there being a correlation between the two. Remember, however, correlation doesn’t mean causation. Scientists do know that there is a significant correlation between Sunspots and weather on earth. However, how much of the recent warming is due to CO2 and how much is due to Sun spots and Solar Flares is suggested by the fact that although atmospheric carbon dioxide has increased, the earth’s temperature has remained almost the same, which suggests that carbon dioxide has little or no effect on the earth’s temperature. 3) Is any global warming, cooling, or climate change cause for alarm and action? Thus far, it’s been relatively minor and any slight increase in the earth’s temperature is probably a good thing…more crops, better weather. Of course, the adverse effects from the previous huge California drought, specifically the lack-of-water problem in California’s Central Valley was 100% man-made by former President Obama’s policy of manipulating stored water for the Delta Smelt, a small fish on the Endangered Species List, rather than use it for the cropland and farmers that lived there and for the thousands of migrant farm workers that helped harvest their crops. Insofar as extreme weather activity is concerned, the past half-century has seen fewer major hurricanes and extreme tornado activity in the United States. 4) Can anything be done about global warming , cooling or climate change if it gets really bad in the future? Sure, there are various ways to reverse global warming but not global cooling. My preference is, if there is global warming, the geoengineering proposals that seem preferable because they affect every country equally and do not harm any country’s economy. So what should be done now, if anything? “Watchful waiting” is in order but everyone needs to endeavor to get global warming or climate change out of politics because it should be solely a matter of science. The Kyoto Protocols were rejected by the U.S. Senate in 1997 by 95 to 0. And well they should have been, because the largest polluters, China and India, were exempted. Moreover, the U.S. withdrew from the Paris Climate Accord because the Accord did nothing to help the environment but would have cost America $3 billion/year that would have been redistributed to other countries. Recall the “Hockey Stick graph” scandal in which a team led by a professor at the University of Virginia created a graph that eliminated data depicting the Little Ice Age and the Medieval Warm Period in an effort to support the global warming hypothesis. Then the United Nations Intergovernmental Panel on Climate Change (IPCC) actually and unbelievably included the misleading graph it in its Third Assessment Report. Therefore, I believe it prudent to be very skeptical of any data depicting global warming or cooling. With help from the Sun, the Earth’s climate changes constantly and gets warmer and then cooler. People contribute some, but for the most part it appears the Sun is to blame. From my course in meteorology at Penn State University, I learned that “yes, climate changes all of the time…that is the very nature of climate…” However, large sums spent on projects that attempt doing something about it are not warranted until there is solid evidence and that we can significantly do something about it (unlike the political and do-nothing Paris Climate Accord). Currently, claims of global warming are: 1) a ruse to give climate-study contracts to friends who will pay back significant sums (“kickbacks”) to politicians, and 2) used as a rallying cry by which the Democrat Party attracts and holds young, idealistic people to vote for them. The November 2018 fourth national climate change assessment by the U.S. Global Change Research Program paints a dire picture of upcoming climate change so I checked out what the premier and super-qualified expert on climate change (Patrick J. Michaels, PhD in ecological climatology) had to say. Dr. Michaels states in a November 26, 2018, post in “Climate Depot” the draft fourth national assessment (“NA4”) uses a flawed ensemble of models that dramatically overforcast warming of the lower troposphere, with even larger errors in the upper tropical troposphere. In addition, Dr. Michaels says that the only accurate climate model is the Russian model and that model shows very little warming. In other words, climate change is very minor. Other experts say that some data indicates the world is about to enter into a 25-year period of global cooling due to weak Solar Cycles 24 and 25. Read Cold Sun and Dark Winter by John L. Casey, and chapter 2 (“A Less Giving Sun”) of the book, Twilight of Abundance by David Archibald if you would like to see the research on this. Is climate change mostly caused by people or is this political BS, and can anything be done about it to make a significant difference? We don’t know yet. If anyone says “it’s settled science,” you need to know that nothing in science is ever completely settled. I estimate that about half of scientists disagree with climate-change being mostly man-made.